Ideal opportunity for a long term rental near Kings Beach! This four bedroom newer construction home is a unique opportunity with gorgeous upgrades! 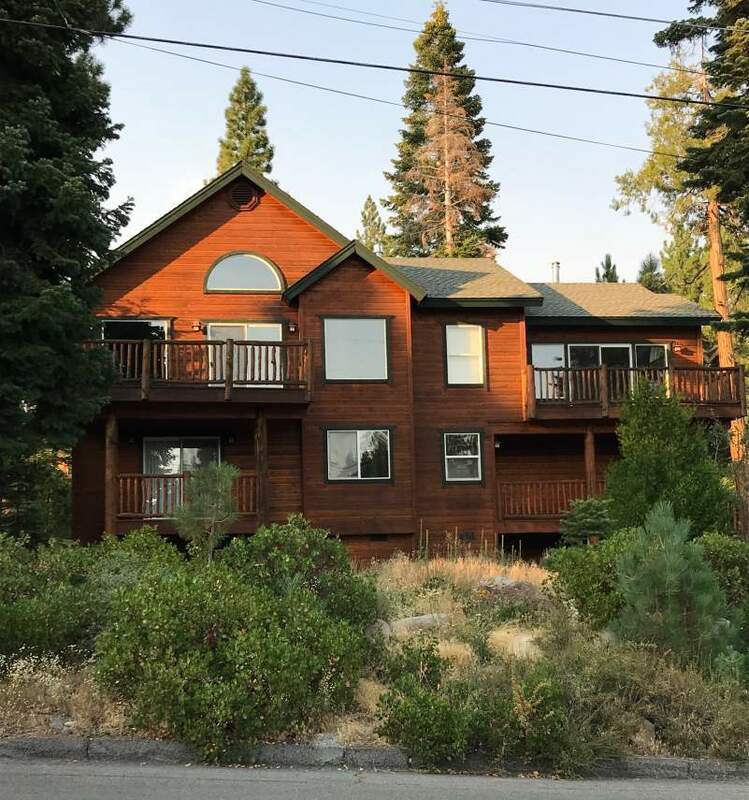 Home is situated on Forest Glenn Drive right off of Hwy 267 with easy access to downtown Kings Beach or Northstar Resort. It was built in 2001 and has been meticulously maintained. The two level mountain home features an open layout on the main floor with a river rock gas fireplace as the focal point of the living area. Living room has new carpeting and comfortable furnishings as well as vaulted ceilings and beautiful fixtures. There’s a nice dining area just off the kitchen that overlooks the entire space. Off the family room there’s a deck that faces west towards beautiful sunsets. The gourmet chef’s kitchen features a large island with granite counter tops, extra storage space and the kitchen sink. There’s also a double oven, gas range and a huge side-by-side refrigerator to make daily meals a pleasure to cook! The upstairs area also houses the master suite, a second smaller bedroom and the laundry which is off the kitchen. The master suite is huge and has a private deck, walk in closet and gas fireplace that can be enjoyed from either the master bathroom or the bedroom. The master bath also features a jetted tub and a huge full shower with seating. The second bedroom is currently set up as a kids room but could be converted to just about anything you like. It’s off the kitchen and down from a second bathroom upstairs. The lower level is practically its own second home with a very private feeling. Boasting an entertainment den and another deck off of bedroom number three. Both of these rooms are spacious and offer unique features such as a bay window in bedroom four. There’s also another full bathroom on this level and a two car garage. The water heater is over-sized and there’s a newer gas furnace as well. Other upgrades include fresh stain to the exterior, a bear box for your rubbish and a huge yard. FURNISHED: This home is currently lightly furnished. Completely unfurnished may be negotiated. PETS: Pets Negotiable. Please ask agent for details.